It is often daunting when considering change, such as in presentations, to consider only the difference between an expert and your current position. This brings feelings of inadequacy, powerlessness and resignation. Consequently no change is made except in feeling bad. That isn’t the aim of this blog. Every journey begins with a single step and for many that step may be faltering, delayed and unsure. The next step will be easier but may still involve significant challenge, may be uncertain and unrewarded but each is a step further away from poor presentations on the route to better communication. Don’t be discouraged by the challenge or the lack of perceived change but persevere as you start to make a difference. So where to start? I would commend your visit here as a great beginning. Even simply considering that there might be a different way is progress in itself. For most, the easiest place to begin making changes is in the nature of p2; illustrate don’t annotate and consider why you have a slide not what you want to say on it. My best advice is to reconsider the whole concept of a presentations and begin with the story p1. Many are under direct instruction regarding “a presentation” and this limits this freedom of thought and expression but you can work on your delivery (p3) aiming to engage more effectively. Most importantly consider simply how you might “do” it differently even if you’re not allowed to. Seek out best practise through TED talks and other presentations online, go to local conferences and speaking events like pechakucha or ignite and observe colleagues who have started their own journey towards better presentations. 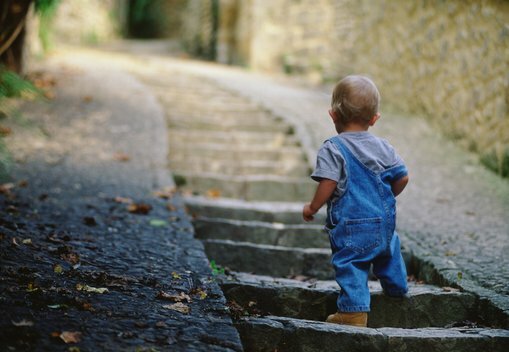 Wherever you are, your journey starts with baby steps.